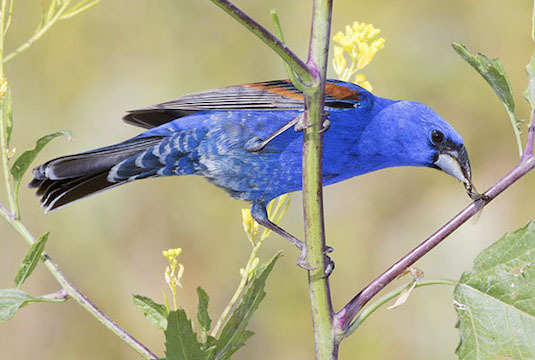 Blue grosbeaks like weedy, brushy areas for breeding; most of these males were defending territories at the San Jacinto Wildlife Areas near Riverside, California. 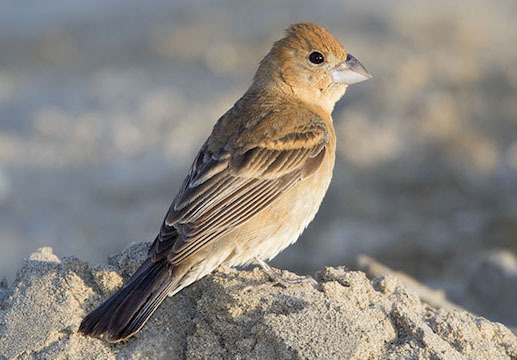 In some of these images the bird is not quite fully molted into breeding plumage, but the bird in the right image certainly is, and two of the vertical images immediately below. 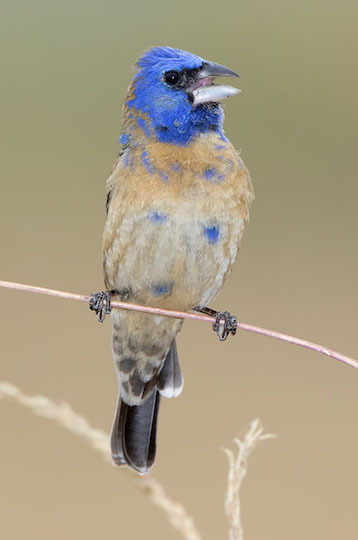 One image shows a brownish female; others show a blotchy partially-blue juvenile male. 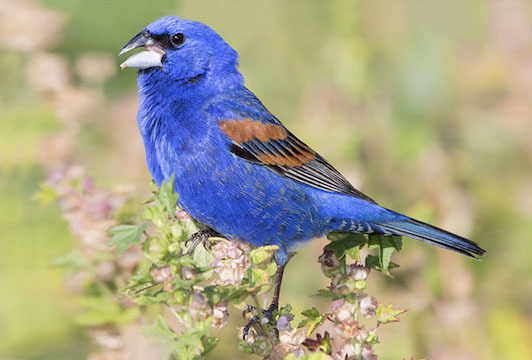 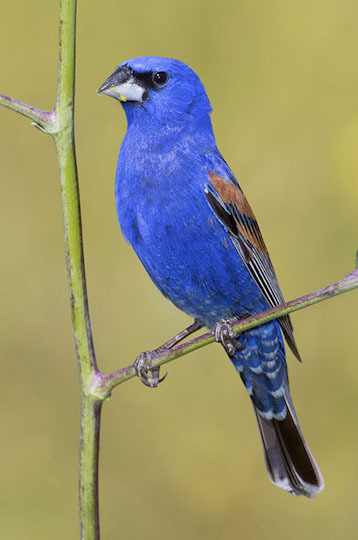 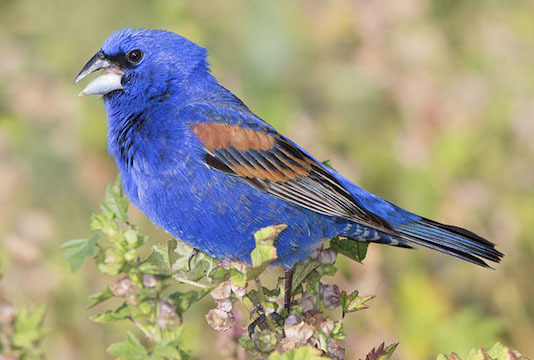 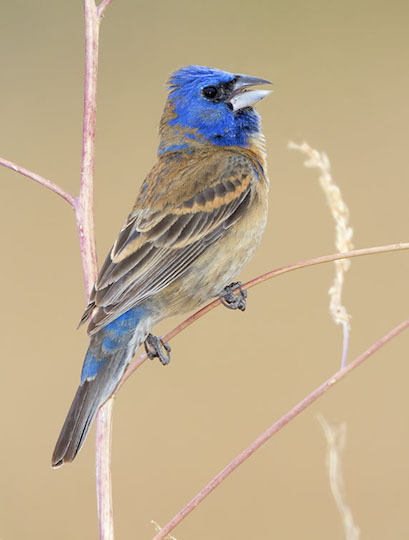 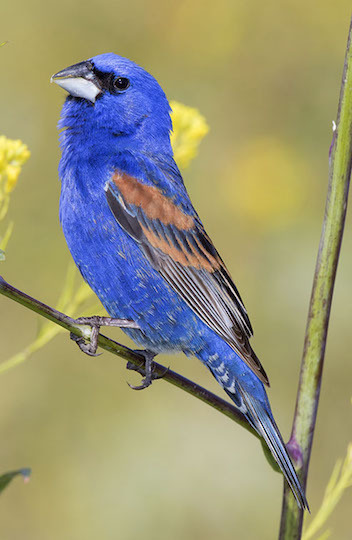 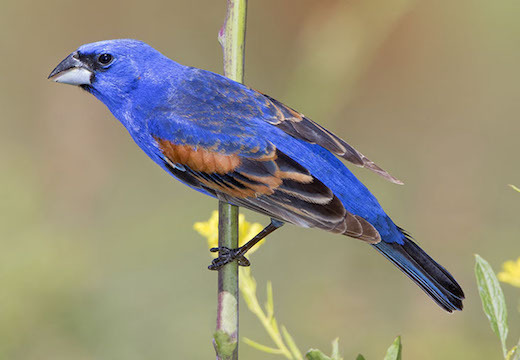 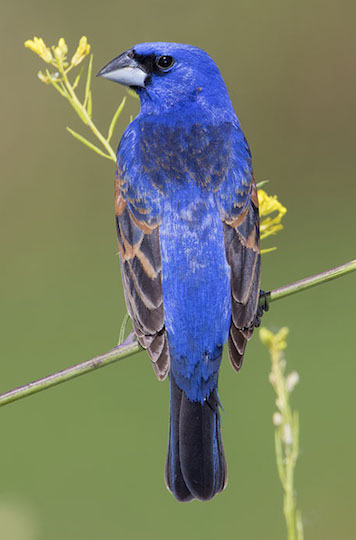 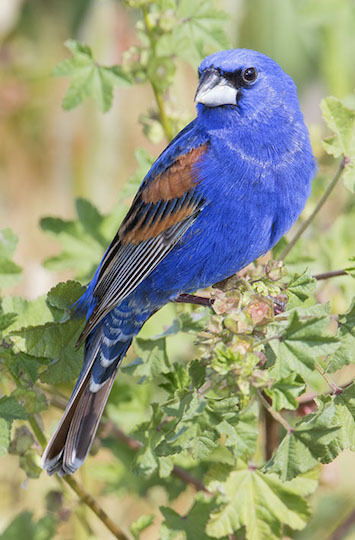 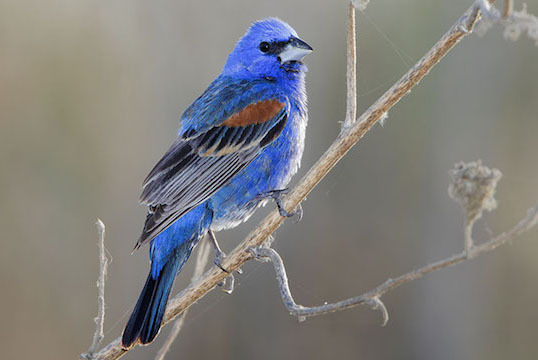 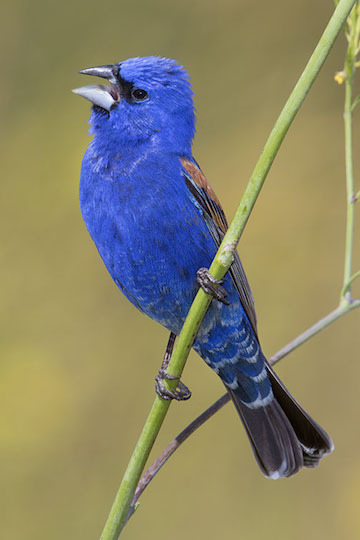 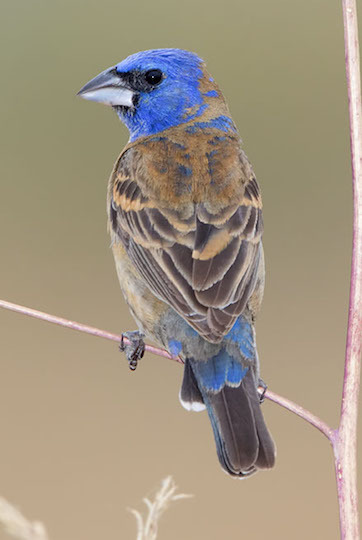 More blue grosbeak photos are on another page.